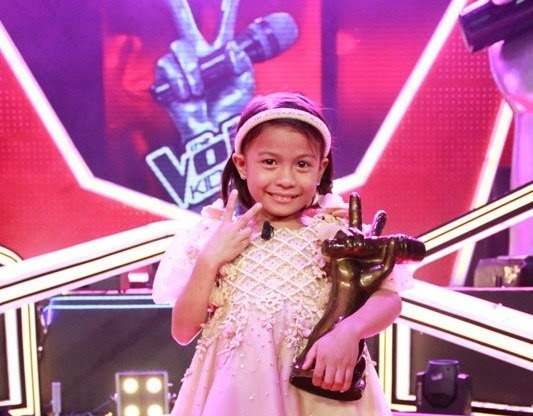 'The Voice Kids' grand winner Lyca Gairanod joins "Hawak Kamay"
Manila, Philippines - After the successful acting project in “Maalaala Mo Kaya” (MMK), the country’s first ever “The Voice Kids” grand winner Lyca Gairanod is set to take on another project where she will be able to showcase her multiple talents as she guests in “Hawak Kamay." Lyca will begin taping for the Piolo-Pascual-starrer this Friday (August 23), where she is set to act side by side with the country’s top child stars Zaijian Jaranilla, Andrea Brillantes, Xyriel Manabat, Yesha Camile, and fellow “The Voice Kids” top-runner JK Labajo, who also only recently joined the cast. Lyca has since gained a good amount of buzz for her surprisingly superb acting in her “MMK” episode, which garnered a nationwide TV rating of 38.4% according to data from Kantar Media, tripling the score of its timeslot counterpart of the rival network. In that particular episode, the 9-year-old champion from Cavite played herself in the television retelling of her story as a scavenger of Tanza. The episode also pushed the official hashtag #MMKLyca to the top spot, dominating conversations online as the number one trending topic in the Philippines, as well as worldwide, on Twitter during its telecast. As such, the young singer-actress will be taking on “Hawak Kamay” as her next big project for television. Stay tuned for Lyca Gairanod’s first appearance on “Hawak Kamay”.